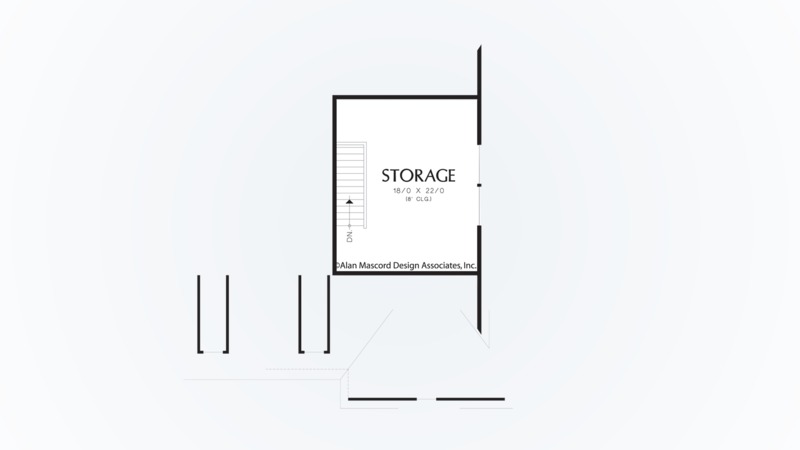 If you live in an area of the country where basements are not built, then peruse this plan for great storage possibilities. An upper-level storage room offers 396 square feet of space for seasonal decorations and other items. In addition, the third stall of the garage provides room for a boat, motorcycle, or additional vehicle. Encompassing the home's wealth of storage is a charming facade. Three types of siding materials - shake shingles, stone, and lap siding - combine to accentuate the country-style exterior. 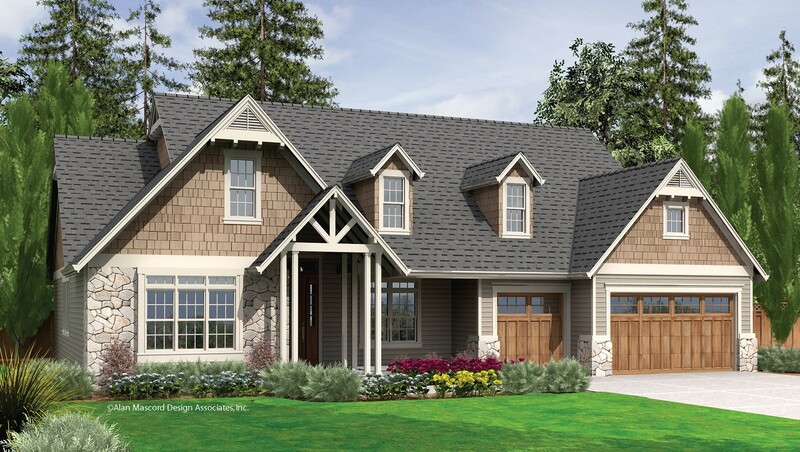 A front porch and a pair of dormers accompany the portico with triangular braces in heralding a cheery neighborhood welcome. The split-bedroom floor plan speaks to homeowners who desire privacy. The master suite and an office line up on the left end of the plan. Separate corridor entrances lead to the office and master suite, ensuring adequate separation. A triangular vault above the bedroom window displays the rear view in grand style. A spa tub, large shower, and spacious walk-in closet outfit the bath. 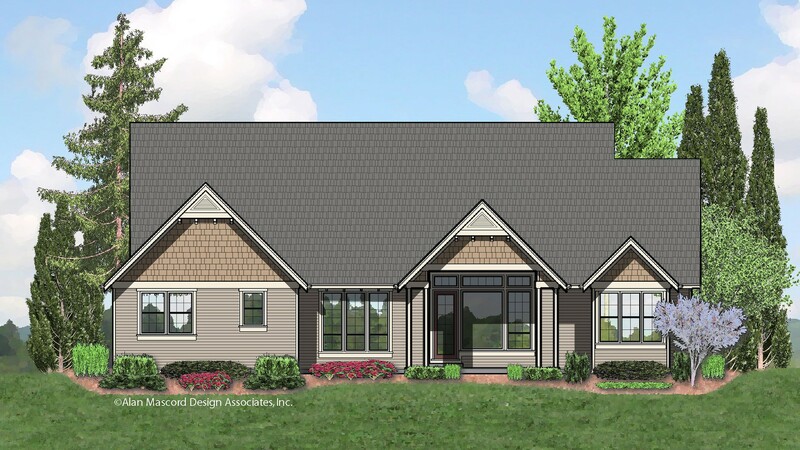 Two other bedrooms are at the opposite end of the plan along with a bath that has a double-sink vanity and an enclosed toilet and tub compartment. 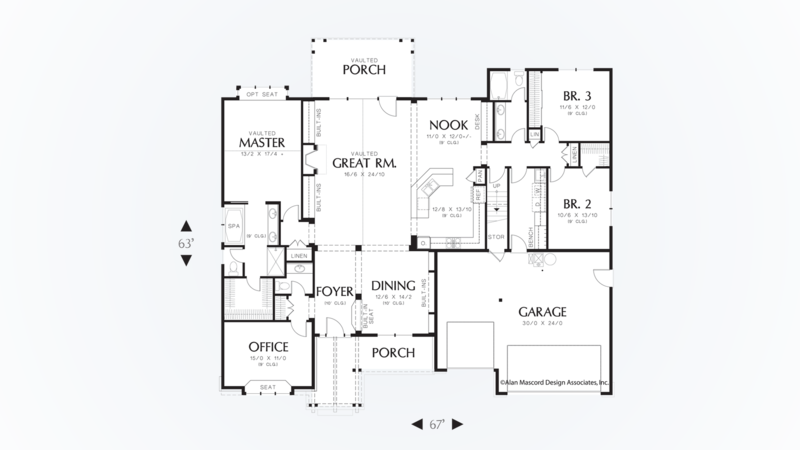 The living spaces in center of the floor plan flow together easily and are bright and open. Persons in the kitchen, which is tucked into a corner of the open area, have views of the great-room's fireplace and built-ins, as well as the backyard through windows that line the breakfast nook and great-room. The formal dining room also is steps away, next to the foyer. It includes space for a hutch and a pair of built-in display shelves.